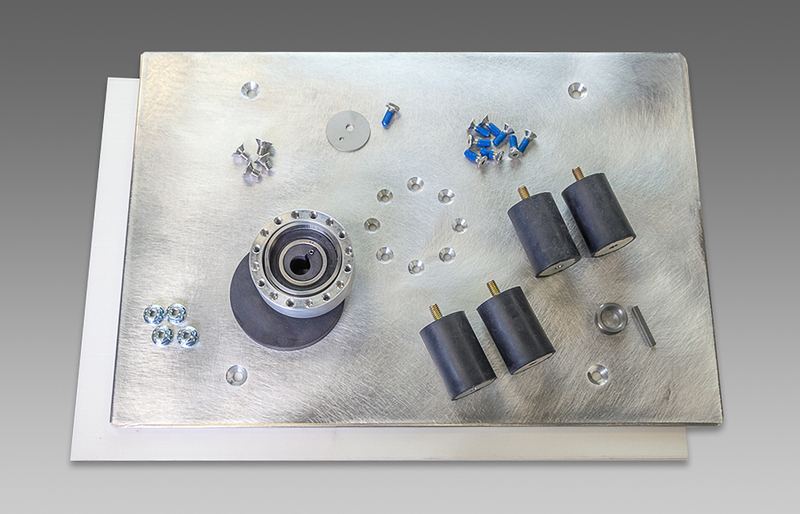 This kit contains everything needed to replace the eccentric assembly for the EBG-20/C PIVOT. When replacing, Square Scrub recommends installing new isolators as well. Included are: aluminum driver plate, 4 isolators, isolator bolts, motor shaft spacer, motor shaft cap bolt, bearing bolts, eccentric assembly, crush washer, eccentric assembly key, grip face, anti-seize, & 100% silicone.